The "127 Sale" bills itself as the World's Longest Yard Sale. That's a pretty specific claim; it refers to the length of the path along which many small yard sales are held, not the duration of the sale. It runs along US Highway 127, covering 690 miles between Gadsden, Alabama and Addison, Michigan. And while it's simple in concept, the sheer scope of running nearly 700 miles of yard sales for four days each year means you can find a lot of stories. Documentarian Riley Hooper rode along the trail, capturing stories and slices of life, resulting in the roughly 15-minute documentary below. It has a slow pace, the sort of pace a yard sale ought to have. 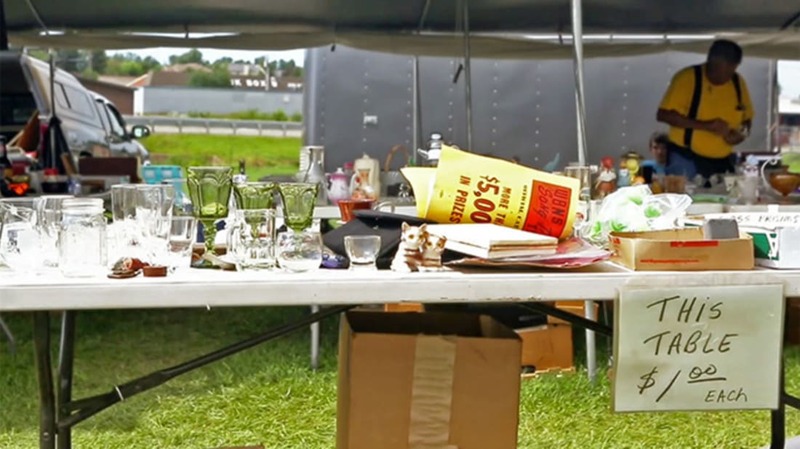 Not much happens, as with any yard sale, but we get to see a bit of what Americans have in common when they get together for a yard sale with family, friends, and strangers. Give it about two minutes to get started; the pace is leisurely. Note: The film's full title is Elvis Loses His Excess & Other Tales From The World’s Longest Yard Sale.